Dem socialist makes faulty claim about Pentagon spending. Rep.-elect Alexandria Ocasio-Cortez (D-N.Y.) was called out this week for claiming a reported $21 trillion in Pentagon accounting errors could fund Medicare-for-all. Ocasio-Cortez, who will represent New York's 14th congressional district starting in January, cited a Nation story about how $21 trillion in "Pentagon financial transactions" between 1998 and 2015 could not be documented or explained. And that’s before our premiums. "The $21 trillion is not one big pot of dormant money collecting dust somewhere. It’s the sum of all transactions — both inflows and outflows — for which the Defense Department did not have adequate documentation," the Post explained. The "Outnumbered" panel reacted on Tuesday, with Harris Faulkner remarking, "You've got to have your facts straight." Faulkner said Ocasio-Cortez often gives her opponents "low-hanging fruit," pointing to her infamously not knowing the three branches of government, and when she spoke about Israel's "occupation" of Palestine. "I guess it's funny, but it's not. And it shouldn't just be Republicans or people who are politically different than she is who are giving her grief over these items," Faulkner said. "It should be within her own party, because she's being held up as somebody who could really be a big voice in the future." Kennedy said Ocasio-Cortez lacks a working knowledge of basic economics, which makes it impossible for her to explain how her democratic socialist policies would work in practice. "It's the downfall of the progressive wing of the Democratic Party, because it's built on a foundation of yogurt." 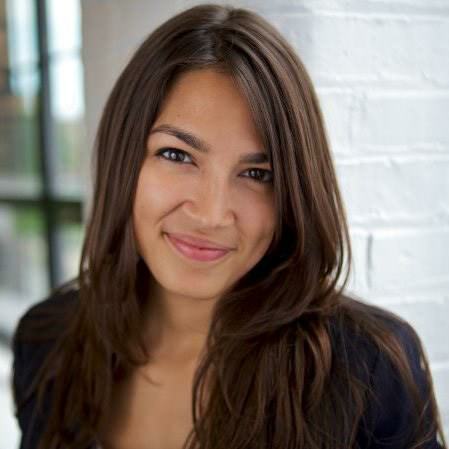 She said Ocasio-Cortez cannot explain why socialist economic policies would benefit the country because she doesn't understand how money and wealth are created. Marie Harf acknowledged it was a "stupid tweet," but she argued that the news media gives Ocasio-Cortez more coverage than she deserves. "If we fact-checked every incoming member of Congress' tweets, there would be a lot there," Harf said.